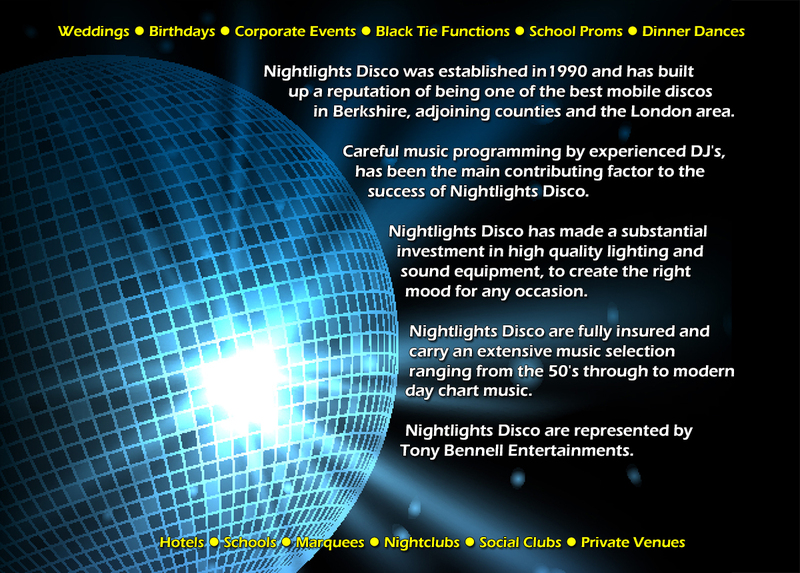 Nightlights Disco was established in 1990 and has built up a reputation of being one of the best mobile discos in Berkshire, adjoining counties and the London area. Careful music programming by experienced DJ's has been the main contributing factor to the success of Nightlights Disco. 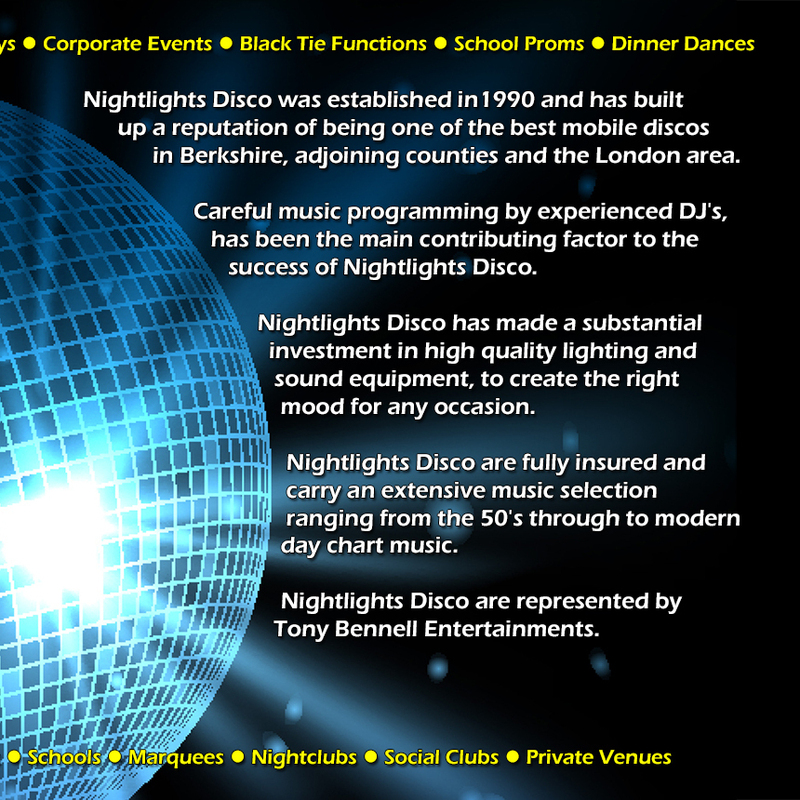 Nightlights Disco has made a substantial investment in high quality lighting and sound equipment, to create the right mood for any occasion. 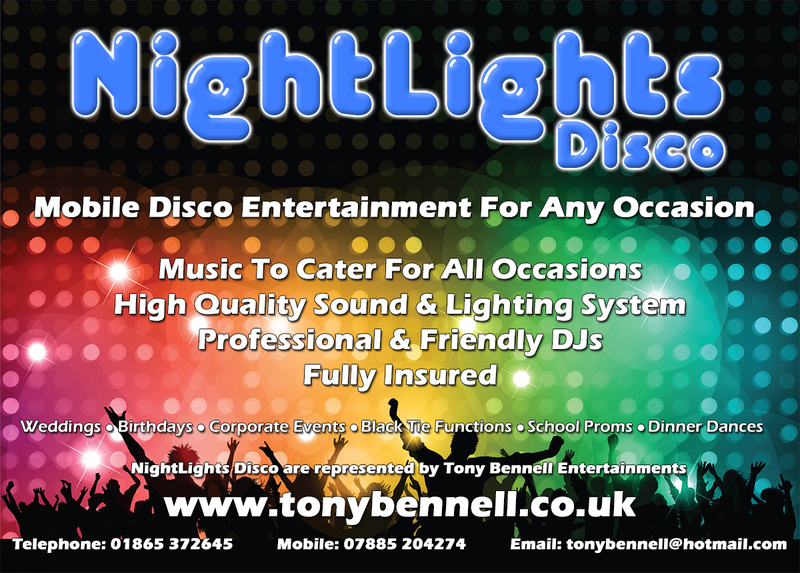 Nightlights Disco are fully insured and carry an extensive music selection ranging from the 50's through to modern day chart music. 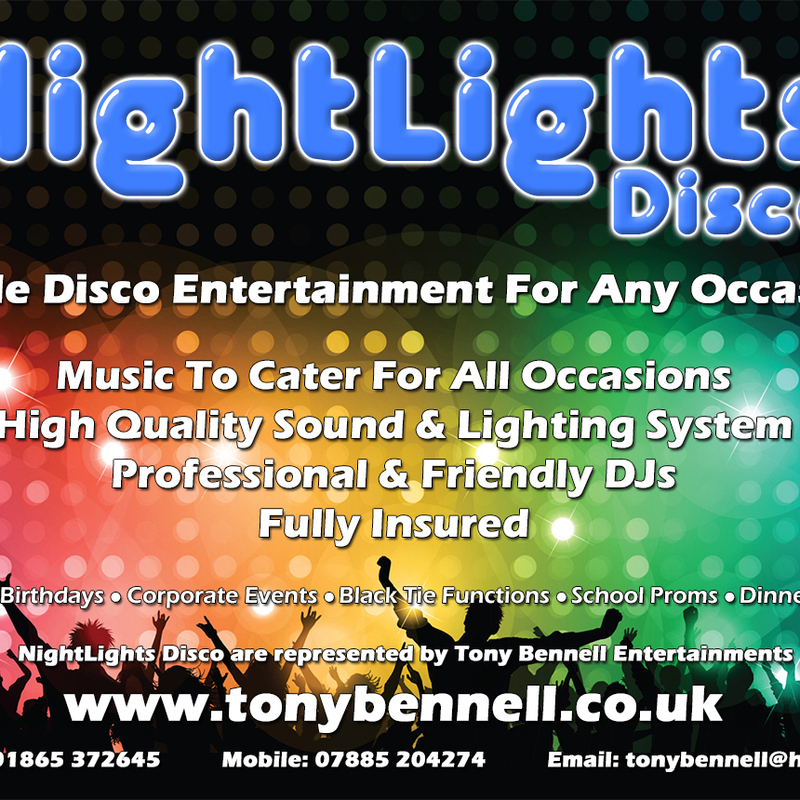 Nightlights Disco are represented by Tony Bennell Entertainments.